Railways is planning to use an engine each in the front and rear, boosting the speed, senior officials said. Travel time in Rajdhani trains is set to be reduced by at least an hour with the railways planning to use an engine each in the front and rear, boosting the speed, senior officials said. Usually, these trains run with one engine. This model - the push and pull mode - has been successfully tried on a commercial run of the Delhi-Mumbai Rajdhani, on February 13, which resulted in its journey time being reduced by 106 minutes. "It is a totally Make in India project utilizing indigenous rolling stock without any additional cost and will provide all the deliverables such as enhanced speed, lower running time, doing away with need of attaching or detaching banking locomotive (a banker is an engine that assists in hauling a train up a steep gradient)," said the official. The two engines, which are attached to each other through cabling will work simultaneously, enabling the train to navigate even rising gradients at higher speeds. During the run of the Delhi-Mumbai Rajdhani, at Kasara station, at the foot of a rising gradient, the train reached seven minutes before scheduled arrival and after negotiating another rising gradient it reached 22 minutes before arrival time at Igatpuri, the official said. Similar trials are also being carried out between Bandra Terminus Railway Station and Nizamuddin station which saved 83 minutes in running time and 77 minutes on its return journey, he said. "The arrangement would help facilitate train operation with higher average speed, without any additional capital cost. 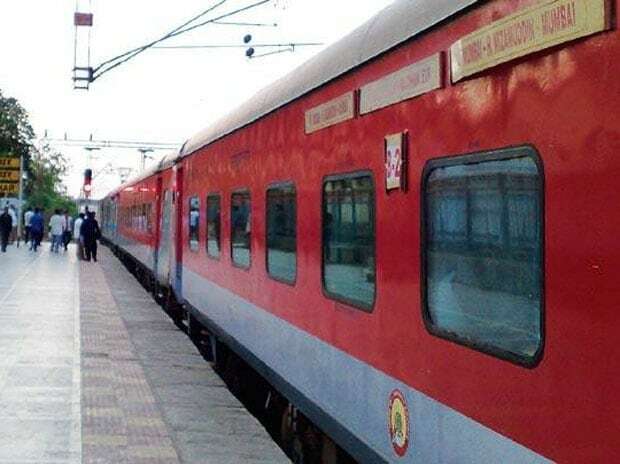 An order has already been issued to switch all Rajdhani trains over to the pull and push operation," he said, adding the zones have been advised to revise journey time accordingly. The official said that increasing the average speed of Rajdhani trains would also create additional sectional capacity for improvement of average speed of other trains. Through the push and pull mode, the two engines at each end will also have hotel load converters which will enable provision of two extra modified AC three tier coaches which will also result in increase of revenue of railways, the official said. Hotel load converter is used for functions such as climate control (heating and air conditioning), cooking, lighting, and water heating in railways.